During the busy months of summer, many of us spend more time entertaining guests than normal. If you plan to host a few parties at your home this upcoming season, make sure you have the perfect space to do so. 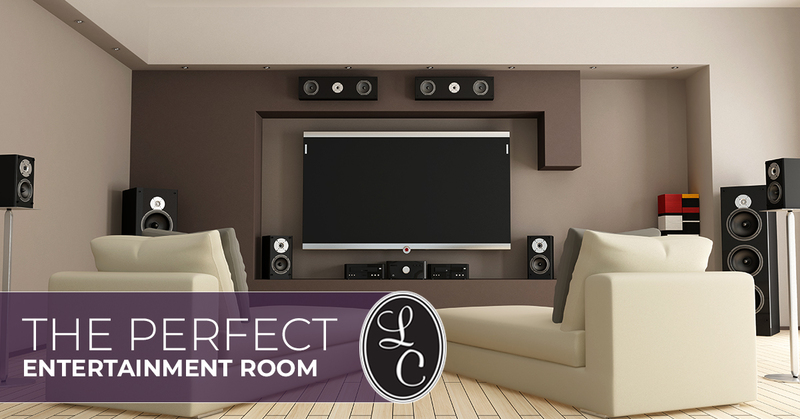 Creating a dedicated room for entertainment can be the perfect way to ensure all your guests enjoy their visit. Not only that, your entertainment room can also serve as the perfect space for you to enjoy year round. Check out these helpful tips for designing the ideal entertainment room and stop by our lighting showroom in Trussville for help picking out the perfect lights to make the place shine. Whether you are turning an old space into an entertainment room or you are simply revamping an existing space, you should start by assessing how much seating you have and how it is arranged. Do you have any seating that is simply taking up space but rendered useless by the layout of the room? Get rid of seating that is not helping to create an inviting space for guests to mingle and engage in conversations and games. Opt for a seating plan that encourages people to circle or group up. Chairs that are sitting alone in dark corners won’t help create the warm space you are looking for. An entertainment room should have ample amounts of seating that allow guests to feel cozy and comfortable. Often, the focal point of an entertainment room is the television and other electronics. While it is nice to have a space that allows you to throw a party for the big game day, make sure you also create space for those who prefer other forms of fun. For example, set up some seating areas with an array of nearby board games, cards, and puzzles to choose from. By taking the focus off of just the electronics, you can ensure that even guests who aren’t keeping track of what team last scored will enjoy attending your party. 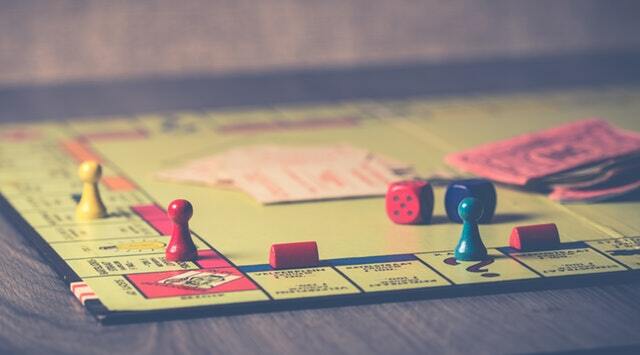 Non-electronic games can also be used to engage your guests rather than just idly watching television. No entertainment room would be complete without the right lighting. If you are currently entertaining guests under fluorescent lights, consider upgrading your lighting system. Opt for a warm ambiance by adding track lighting over your wet bar and sconces throughout the room to enhance the space. The sky’s the limit when it comes to designing the right lighting for your entertainment room. Utilize lamps to add accents to the space and implement ceiling fans to keep the air circulating even when you host a big crowd. If you need inspiration, visit our lighting showroom in Trussville and talk to us about your lighting design dreams. Not only can you use lighting to enhance the ambiance of your entertainment room, you can also use decor to make the place fun and inviting. While the rest of your house might be subtle or classic in styling, the entertainment room is the place to get a little more creative. Use sports team memorabilia to express your fan-ship. Add fun decor from trips you have taken around the globe. Use your entertainment room to tell a story and to spark conversations. If you are looking to create a great space for throwing parties and entertaining guests, stop by our lighting showroom in Trussville to pick out the perfect lights for the space. We will help you pick out exactly what you need to create the perfect ambiance for your room. Stop by soon or contact us for more information about our lighting products.